Proud member of theQSL Manager's SocietyAnd... I totally agree with the QSL Manager's Society "CREED"
Now you can request your QSL online! No need to send mail, cash, or IRC’s. U.S.A.For detailed QSL instructions, please scroll to the bottom! Contributions are never required but are ALWAYS appreciated! Follows is the list of stations for which I am QSL manager. PLEASE note specific dates where relevant! I often get QSL cards for stations that I do not handle. If you don't see the call you are looking for in the list below, then go to the bottom of this page where I have listed some calls that I know about. I have included possible correct routes. (Due to an op's laptop crash, most of the July 2001 9M6AAC log was lost. Only have 7/27 0822 to 7/28 0521. I'll be glad to check via email) ALL other 9M6AAC logs are OK! 9M6OO (all operations) 1989, 1990, 1991, 2003=East Malaysia. --- 1997 & 1999=Spratly. ET3AA - Dec 8-13, 2011 ONLY! ET3SID - Dec 8-13, 2011 ONLY! YF1AR - From April 11, 2011 QRV. Older logs back to 2002 being prepared. Be patient. QRX! YF1AR/9 log not available sorry. Here are some calls that I get cards for on occasion. I DO NOT handle these calls. I have included correct routes where known. 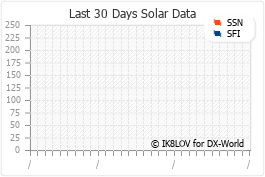 1S1DX: Logs for this 1979 operation are currently held by VK4FW. Use QRZ.COM for his address. C21TT: Try the QRZ.COM address direct? DS2BGV: No manager, use QRZ.COM or via bureau. KP2A/D: This 1981 operation's original QSL manager still has logs. QSL via AF2C. KP2A/KP1: This 1982 operation's original QSL manager still has logs. QSL via WB2MSH. N2OO/KH9: QSL via N4XP. special note: for N2OO/KH9: QSL VIA N4XP only. V85AA: I only handle a very short "guest op" log from Nov 19,1999 as noted above. V85AA became sk in late 2005. No logs were saved. VS6VO: I only handle cards for guest op QSO's made by N2OO & KF2BQ on Aug 24-27, 1991. Other route unknown. Pick ONE QSL method please! ALL QSLs received without appropriate means for a return are answered via the bureau. I prefer multiple QSO's for each station to be placed on one QSL card in chronological order, especially those sent via any bureau. Example: you worked V85OO five times? Put all 5 QSO's on one card in date/time order. You'll save postage on direct mail! It will save me a lot of extra work, especially on bureau cards sent that way since many bureau cards get separated and I end up having to look up all QSO's separately. If they are all on one card, I can process them all at the same time. the ARRL outgoing QSL bureau or direct to specific QSL bureaus. 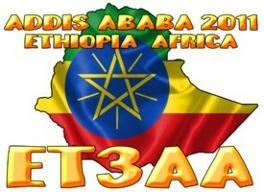 I actively promote other QSL services such as WF5E. See ya' in the Pileups!